Websites and blogs are gushing with gift recommendations this time of year, so I’ll just kind of summarize and link to some useful gift ideas for the travelers in your life. I just love KidsTravelHappy.com for compact, travel-friendly toys, games and activities. You can browse the site by age, brand, price, type and mode of travel. Although I prefer old-fashioned navigation techniques like fold-out paper maps, asking locals for directions, and deciphering foreign signage, my husband would never travel to Europe without a portable GPS navigator. (I just think the kids learn a lot more from interacting with their environment rather than with yet another technological device.) But a GPS navigator (a.k.a. garmin, navi) seems a useful gadget for many, so for a list of the best 5 GPS navigation systems, click here. Electrical voltage in Europe is 220. American voltage is only 110. You cannot use your 110 electrical appliances (hair dryers, curling irons, battery chargers) in Europe without a voltage converter. There are great little travel voltage converter kits available that make nice gifts. In addition to a voltage converter, you will need an adapter plug for the country you’re visiting, as Europe does not have the standard U.S. flat prong electrical outlet. Many countries have multiple types of outlets, so it’s a good idea to carry a kit with all the different ones. These adapter kits make a terrific little stocking stuffer, and there are great guides to world-wide plug adapters on-line if you need help choosing. Get rid of the tangle of charging cords for mobile devices! How about a multi-charger for the traveler in your life? There's a large selection on-line. There’s also the new Duracell MyGrid Wireless Multi Charger which I’ve heard good things about but cannot recommend personally. I never fly without a neck pillow, and I prefer the inflatable ones because they take up less room in my carry-on. 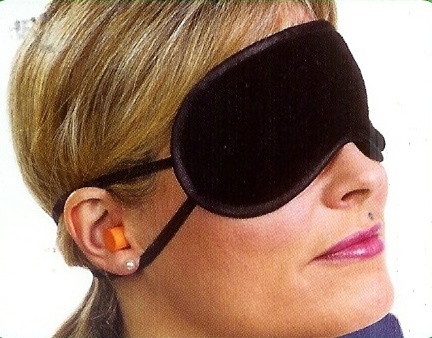 An eye shade and ear plug travel set is a great stocking stuffer, too. And finally, you can't go wrong giving a AAA Gift of Travel gift certificate or the American Express Travel Gift Certificate!